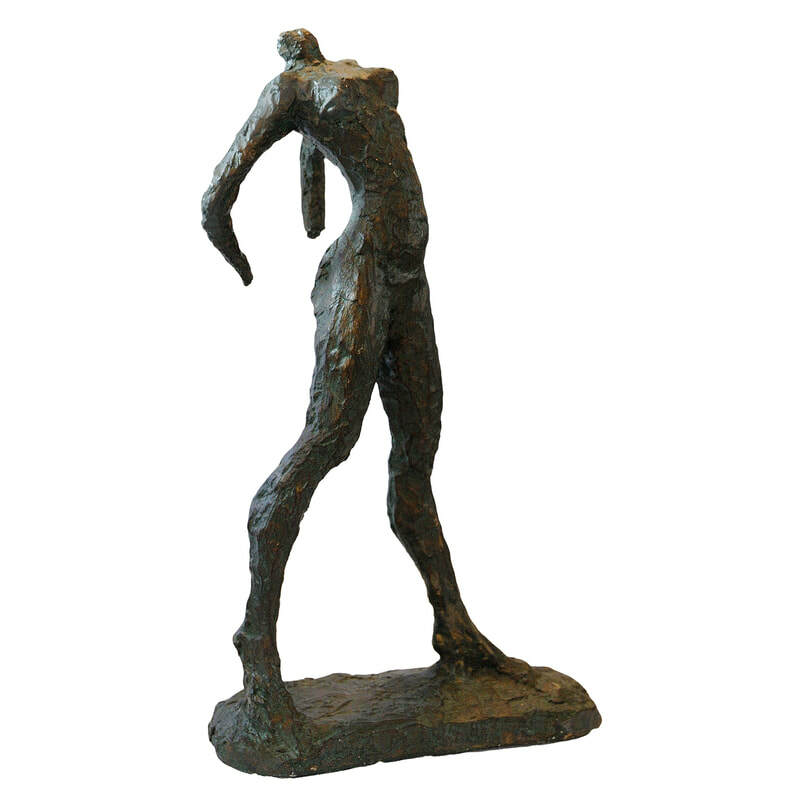 ​A French Louvre Museum composition copy of the bronze sculpture 'The Walking Woman' originally by Alberto Giacometti, circa 1970. 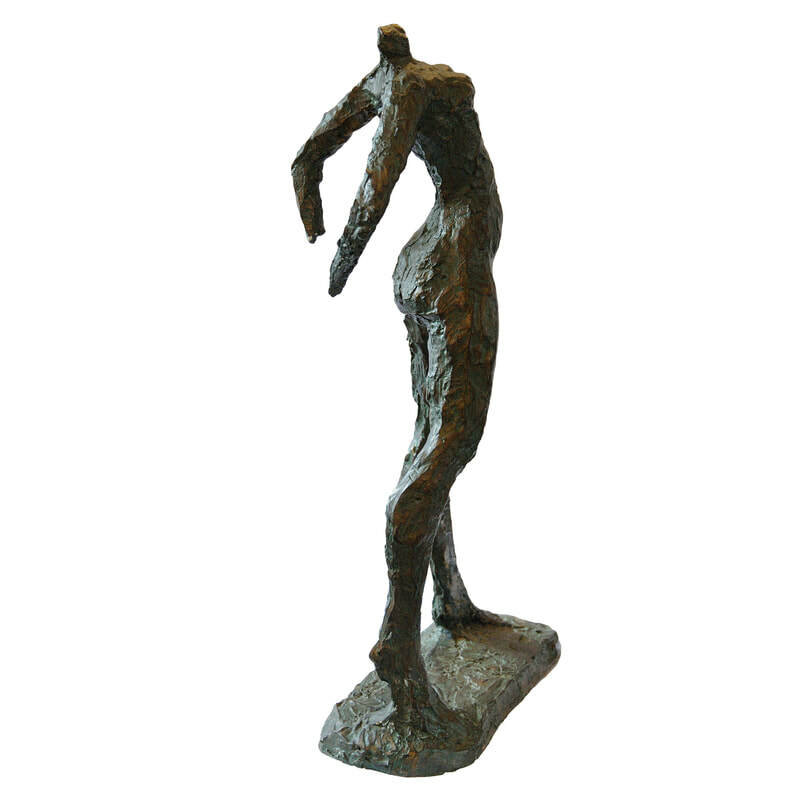 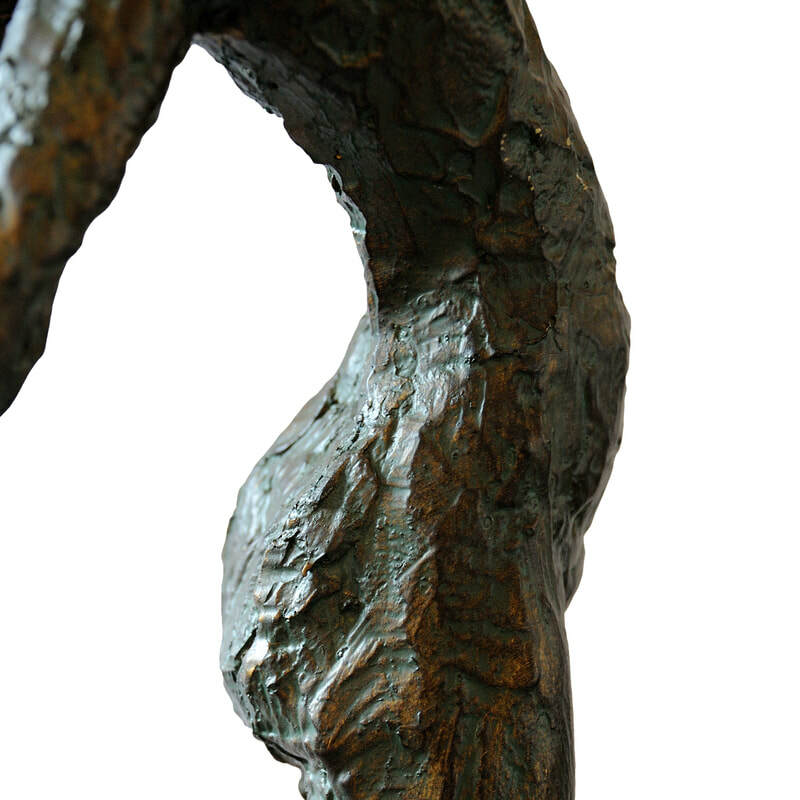 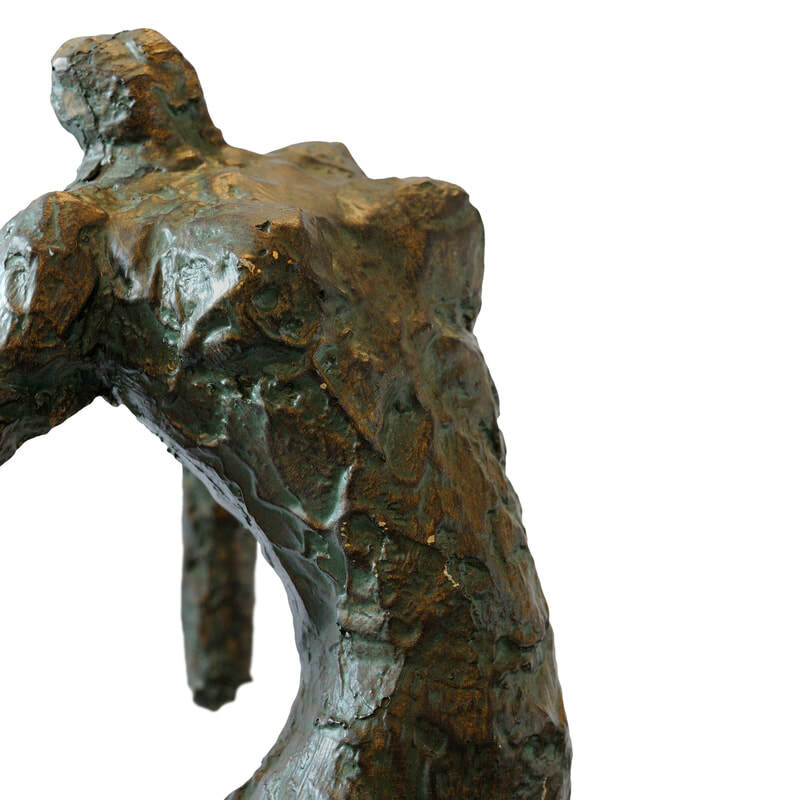 ​During the late 1950s Giacometti made a number of fragmentary figures, their arms partly or entirely missing. 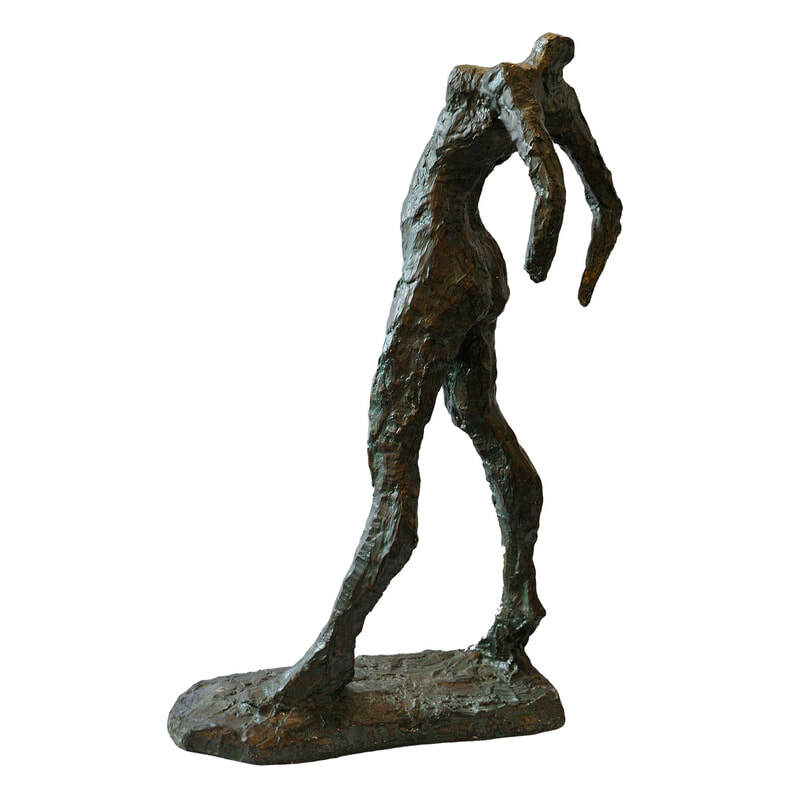 Their slender, emaciated forms convey a vivid but fragile human presence.